A roofer can bring the kind of skill and expertise required to get any roofing problem you may have under control. No one wants to spend the winter, or even the hot Palo Alto summers, with a faulty roof. Working with the right roofing company can help ensure that that doesn’t happen. A well-trained roofing contractor can provide you with the solutions you need to get your roof repaired. Re roofing, roof repair, roof replacement, and emergency roof repair are just a few of the many activities that a professional roofing contractor will be able to carry out. You will be able to rest easy, knowing that your roofing problem is easily fixed. Working with the right roofer can save you a great deal of hassle. Few persons have the time and energy to come up with make-shift solutions to roofing problems. Nor will a faulty roof get better if you simply ignore it. The problem will persist until it is fixed. And the best way to fix it is to get professional help and expertly trained roofers to come out and do the job. This will save you a great deal of time and money in the long term. It will also ensure that you get the work you need to done in a quick and effective manner. Now, many homeowners may be tempted to do the roofing work themselves and save a few dollars. However, tremendous risks are involved in such a move. 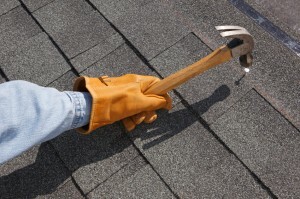 Roofing repair work requires specialized tools and training to do right. Very few non-professionals have the ability or material to carry out repair work in a way that will satisfactorily deal with the problem. This is especially true if your roof needs replacement. It takes specific knowledge and material to replace a roof. These are things that laypersons are unlikely to have. Then there is the issue of safety. It can be dangerous working on top of a roof. This is especially the case if you do so without the right training. Why risk your life or the prospect of not getting the job done right? Contacting a roofing contractor can save you a great deal of grief and expense in getting your roofing problem sorted out. You will know that the right materials have been used and that the job has been done right if you work with a reputable roofer. Indeed, such a company will save you money in the long run. By applying the latest techniques and using the sturdiest and most reliable materials your roofer will ensure that you will not have another roofing problem in the short term. Given the need of most persons to save money and get as much as they can from every business transaction, this is a great thing. The best way to find excellent, trustworthy roofers is to turn to the worldwide web. Using the web will enable you to find roofers who can provide you with the service and satisfaction that you need in repairing and restoring your roof.